As working conditions continue to deteriorate for animators in Japan’s anime industry, many are starting to look for better opportunities. While several anime studios in recent weeks have reported that their animators have been disappearing, former Japanese animators have been spotted working in factories throughout East Asia making clothes and shoes, sources state. Some have even reportedly moved to North Korea. All of these options, the refugees claim, are a step up from working as an animator. 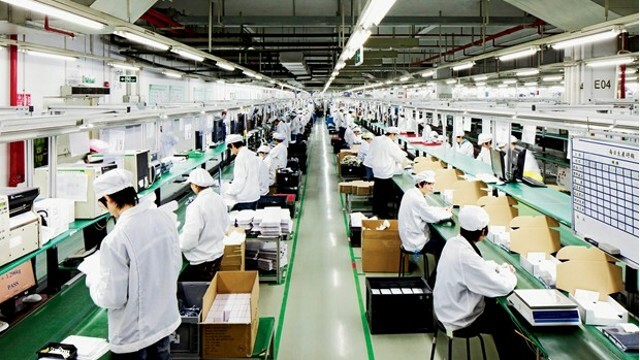 Last weekend, representatives of electronics manufacturing giant Foxconn stated that 11 Japanese refugees who snuck in to China secured positions in its plant located in Taiyuan, Shanxi Province. “I can only dream of working at Foxconn, working 80 hours a week making iPhones,” said J.C. Staff animator Ishikawa Nobou told Anime Maru. A barely noticeable gleam in his eye appears to be the last bit of life remaining in his skinny, worn frame. Nobou has been working 130 hours a week for the last two months, and knows two coworkers who escaped to China. Before Anime Maru could ask any more questions, he quietly resumed drawing keyframes for Majimoji Rurumo.